The Okavango Blue: In April 2019, the Okavango Diamond Company, a company wholly-owned by the government of Botswana, presented the "Okavango Blue", a 20.46-carat blue diamond. The Gemological Institute of America graded the color of the gem as Fancy Deep Blue, and its clarity as VVS. It was cut from a 41.11-carat rough diamond discovered at the Orapa Mine in Botswana. 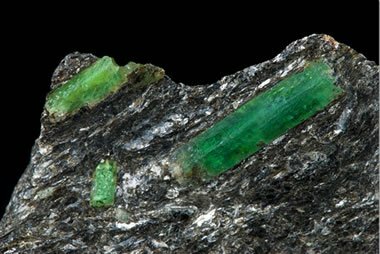 The company will promote the gem through Fall 2019 and plans to sell it by the end of the year. Photo by Okavango Diamond Company. NASA astronaut Christina Koch conducts botany research aboard the International Space Station, where she has been living and working since March 14, 2019. Her mission has been extended, and she will remain at the station until February 2020. Image and caption by NASA. Artist*s concept of Psyche spacecraft near the mission*s target, the metal asteroid Psyche. Image by NASA/JPL-Caltech/Arizona State Univ./Space Systems Loral/Peter Rubin. Sikhote-Alin Iron Meteorite: A spectacular example of the Sikhote-Alin iron meteorite, which fell in eastern Russia in 1947. This large specimen weighs 11.1 kg / 24 1/2 lbs and is described as a complete individual, as opposed to shrapnel specimens which are angular as a result of explosive fragmentation in the atmosphere. The scale cube pictured, is 1 cm in size. 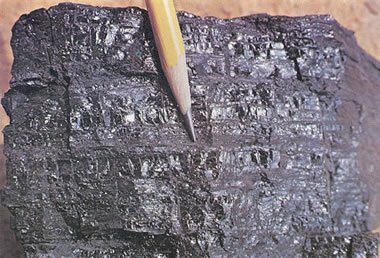 Note the sculptural shape and abundant regmaglypts (thumbprint-like indentations), caused when the surface melted during flight. Photograph by Leigh Anne DelRay, copyright Aerolite Meteorites. An artist*s concept of the Cassini orbiter crossing Saturn*s ring plane. New measurements of the rings* mass give scientists the best answer yet to the question of their age. Caption and image by NASA/JPL-Caltech. Do You Know Where to Get Free LIDAR Data? United Kingdom, Great Britain, British Isles - What*s the Difference? Standard issue snake leggings will probably not help much if you encounter one of these while doing field work in Florida. "A perfect example of a volcano*s power to create and a river*s power to destroy." This near-infrared, color view from Cassini shows the sun glinting off of Titan*s north polar seas. Image and caption by NASA/JPL-Caltech/University of Arizona/University of Idaho. The United States of America holds claim to 16 territories outside of the United States. These range from Puerto Rico, with over 140 smaller islands and over 3 million residents, to uninhabited territories (and disputed territories) such as Bajo Nuevo Bank, Navassa Island, Serranilla Bank, and Wake Island. Gathering eggs on South Farallon Island, photograph by Eadweard Muybridge. Public domain image from the New York Public Library Collection. It made a crash landing after engine and communication problems. Why Didn*t Scientists Photograph the Black Hole at the Center of the Milky Way? "The outage could last until November for some stations." 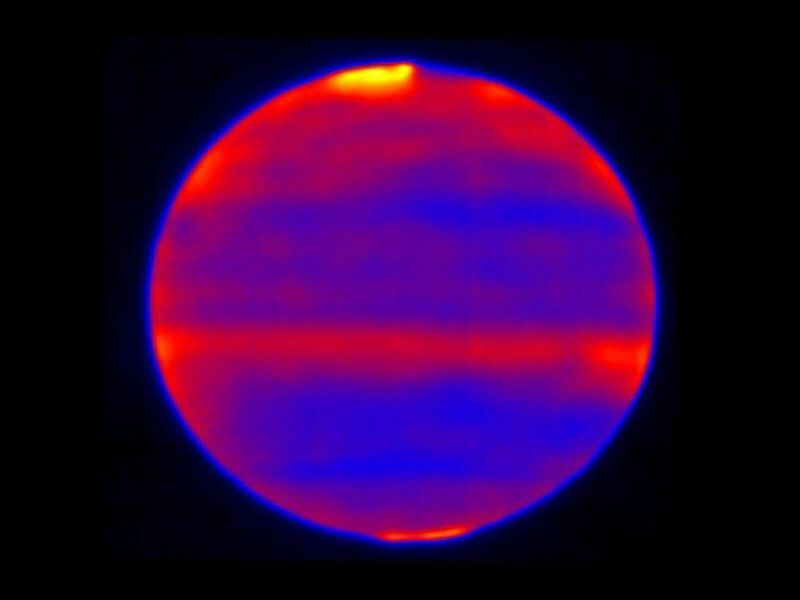 Color composite GSAOI+GeMS image of HP 1 obtained using the Gemini South telescope in Chile. North is up and East to the left. Composite image produced by Mattia Libralato of the Space Telescope Science Institute. Credit: Gemini Observatory/AURA/NSF; composite image produced by Mattia Libralato of Space Telescope Science Institute. 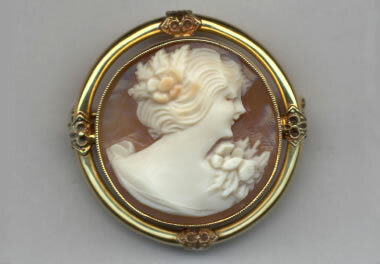 The largest use of gold in the United States is in jewelry. Can West Virginia*s Pipeline Jobs Keep Youth in the State? What Do People Drink When They Think Their Tap Water Isn*t Safe? Satellite image of Tropical Cyclone Idai over the Mozambique Channel. Image by NOAA Environmental Visualization Laboratory. Quote from the article: "There is approximately $1 trillion worth of diamonds sitting in drawers across the country. 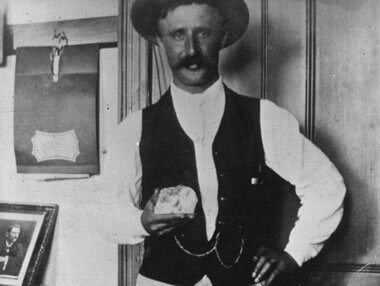 Our households are, by far, the largest diamond mine in the world." A trade in Komodo dragons has developed because a young dragon can sell for up to $35,000 on the black market. 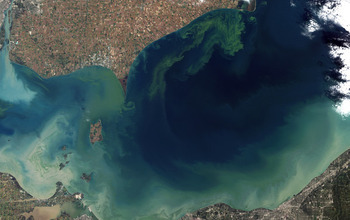 Lake Erie in October 2011, during an intense bloom of blue-green algae, or cyanobacteria. Image by NASA. 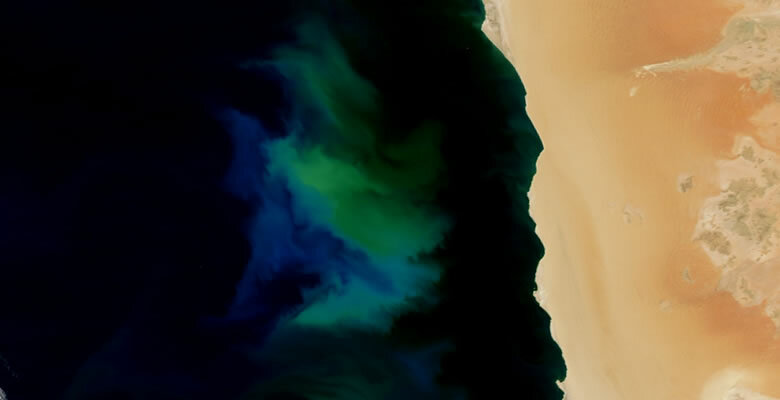 A satellite view of a phytoplankton bloom that developed in the Atlantic Ocean off the coast of Namibia in 2008. This image shows the Martian moon Phobos as it crossed in front of the Sun, as seen by NASA*s Curiosity Mars rover on Tuesday, March 26, 2019 (Sol 2359). Credit: NASA/JPL-Caltech/MSSS. A cyclonic storm in Jupiter*s northern hemisphere is captured in this image from NASA*s Juno spacecraft. Many bright white cloud tops can be seen popping up in and around the arms of the rotating storm. A simplified diagram of the Atlantic Meridional Overturning Circulation. This *conveyor belt* carries warm water from the tropics (represented by red arrows) into the North Atlantic. There, the water cools and sinks before flowing back toward the south (yellow arrows). This pattern of circulation plays an important role in regulating climate in the North Atlantic as well as the rest of the world. Image: Muschitiello et al., caption by Lamont-Doherty Earth Observatory. A planetary fragment orbits the star SDSS J122859.93+104032.9, leaving a tail of gas in its wake. Image by University of Warwick / Mark Garlick. NASA Technology Spinoffs Are Everywhere! Selenga River Delta: A Landsat 5 satellite image of the Selenga River Delta acquired on August 23, 2010. The delta is located on the southeastern shoreline of Lake Baikal, the world*s deepest lake. 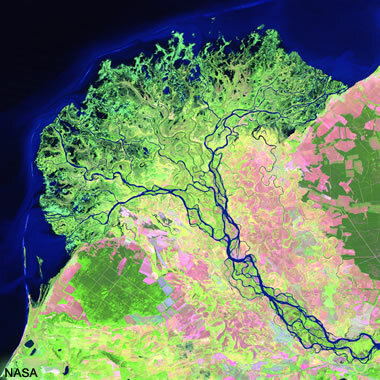 This image clearly shows the distributaries of the delta, meandering channels on the alluvial plain, and sediment-laden waters on the delta front. Landsat GeoCover image by the United States Geological Survey. What*s Up - April 2019: What Can You See in the April Sky?